For as long as I can remember, iced tea has been a part of my way of life. Both of my grandparents, along with so many people in our town, worked for a company that produced tea when I was a child. We never had a meal where iced tea wasn’t the beverage of choice. Of course, being in the south, the tea was sweet but it was always present. Now, as I am a “northerner,” the tea might be a little less sweet than I grew up with but I still love iced tea. 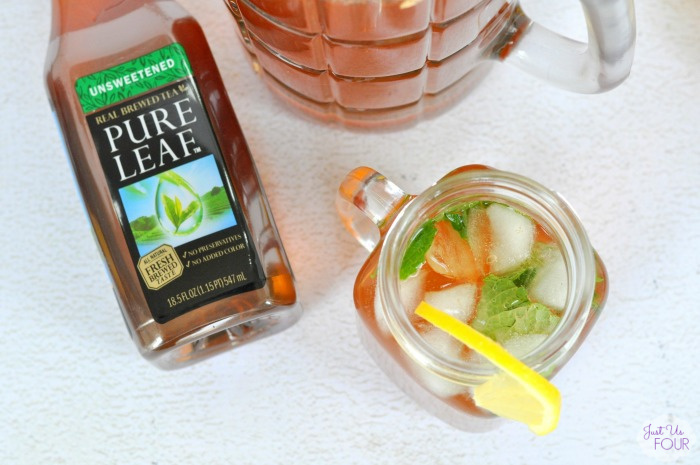 Pure Leaf makes it easier to enjoy that fresh brewed glass of tea taste without all the actual brewing on my part. For summer, we like to combine our iced tea into cocktails and one of my absolute favorites is a lemon ginger iced tea mojito. The great thing about an iced tea cocktail is that it is perfectly refreshing even on a hot summer day. You can easily take the mojito part out of this lemon ginger iced tea mojito for an amazingly delicious and refreshing summer drink the whole family can enjoy too. 1) In a small saucepan, combine honey, 1 cup of water and ginger over medium heat. Bring to a boil and then reduce the heat to a simmer. Simmer for 10 minutes. Let cook and then remove solids from liquid. 2) In a large pitcher, combine strained liquid, tea, lemon juice and rum. Stir well. Chill. 3) When ready to drink, tear mint leaves into pieces and add to glasses with ice. Pour mojito into glass and serve with lemon wedges. 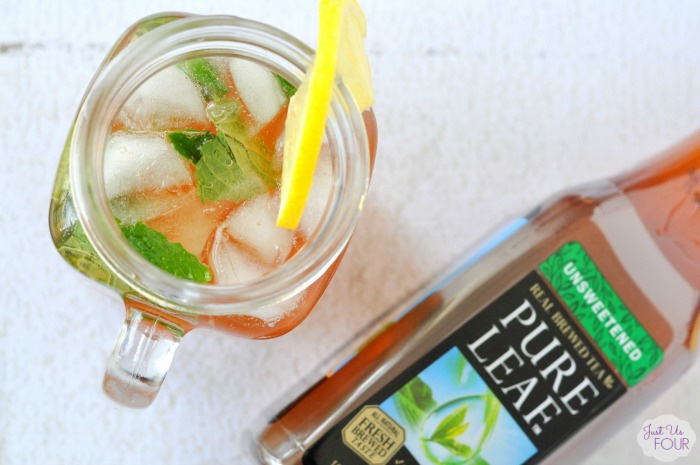 This lemon ginger iced tea mojito is pure refreshment on a hot day. I can’t wait to make a pitcher of them to share with friends at our first barbecue of the season. I am positive they will be a hit. 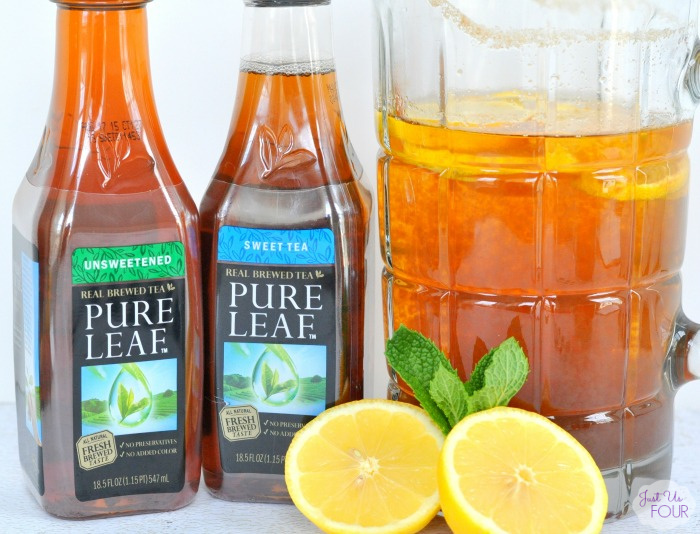 And with Pure Leaf Teas readily available, I don’t even have to worry about brewing my own tea to make this delicious cocktail. Yes please! Definitely trying this recipe over the summer – pinning. My brother would be begging me to make some of these! 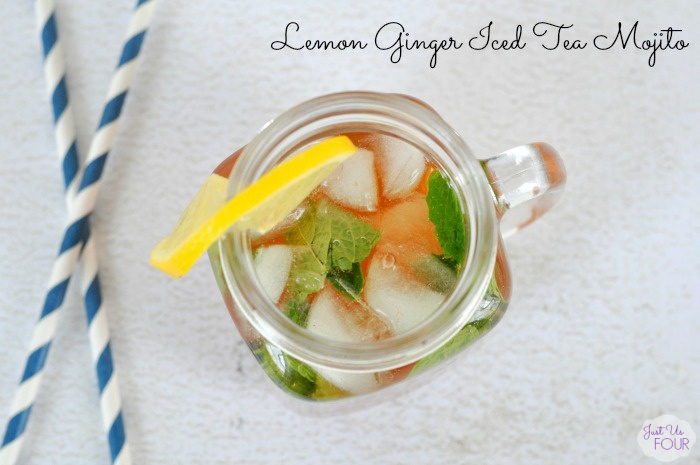 He’s absolutely crazy about lemon Ginger and this ice tea would make him nuts! Ooo…what a great combination of flavors! Thanks so much for taking the time to link up with us at the #HomeMattersParty – we hope to see you again on Friday! Kristen from The Road to Domestication recently posted…Can You Remove Black Mold Yourself?